As we mark United Nations (UN) Day this October 24, we are reminded that the UN remains the only universally representative and comprehensively empowered body the world has to deal with threats to international peace and security. 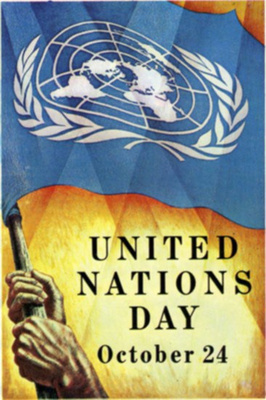 As Brian Urquhart, one of the early UN civil servants said, “In the great uncertainties and disorders that lie ahead, the UN, for all its shortcomings, will be called on again and again because there is no other global institution, because there is a severe limit to what even the strongest powers wish to take on themselves, and because inaction and apathy toward human misery or about the future of the human race are unacceptable.” However, the nature of the threats to international security is ever changing. The UN, just as the national governments which make it up, have difficulties meeting new challenges. “From the outset of my mandate”, said in 1993 then Secretary General of the UN Boutros Boutros-Ghali, “I have been convinced that the structure of the Organization must mirror, as closely as possible, the tasks it is assigned to undertake. An institution must reflect the objectives it pursues … The UN therefore faces the difficult task of relating our aims to our means, of updating and reforming institutions set up at different times and with different imperatives.” Boutros-Ghali proposed measures to promote coordination and decentralization within the UN system, greater cooperation with non-governmental organizations and regional bodies, and creating more effective UN financing and budget-making mechanisms. He went on to stress the vast challenges of famine, drought, AIDS, civil wars, uprooted and displaced populations and deepening human misery in many parts of the world. These situations make dramatic demands on the UN system and require a better field presence and operational capabilities. The UN system is called upon to respond to much diversified requirements, often involving the provisions of crucial and direct aid to peoples in deep distress and involving sensitive new fields of social, economic and political transformations. However, the crisis we face is not about the administration of UN bodies, but about a tragically broken world where poverty and violence are ever more visible and where there is an ever-diminishing willingness to help those in need. Over a decade later, Kofi Annan made many of the same observations as he set out his own proposals for structural reforms “In Larger Freedom”. However, the current structures of the UN for government representatives work “just well enough” that they do not want to take the risk of making changes. Increasingly, it is the representatives of nongovernmental organizations who are pushing for change and are organizing to undertake tasks which some governments are unwilling to do. We see this with the current flow of migrants-refugees to Europe where some non-governmental groups have stepped in to help refugees even when their governments have an unwelcoming and negative policy. One potentially important innovation is the creation within the UN of the Peacebuilding Commission. Hopefully this Commission will be more than a name change for the same functional relief efforts in post-conflict situations. The Peacebuilding Commission was created as a response to the observation that conflicts are rarely settled, and they often take on new forms of violence as we saw in the Afghanistan case after the end of the Soviet intervention, in Kosovo after the other ex-Yugoslav conflicts had died down, in Somalia despite repeated ceasefires and the creation of “unity governments”. We all have limited attention spans for crisis situations in which we are not directly involved or do not have strong emotional links. We are constantly asked to pay attention to a new crisis, to new tensions, to new difficulties. Political leaders have even shorter attention spans unless there are strong domestic reasons for remaining involved. Therefore, there is a need both within the UN system and within national governments for a group of persons will a long-range holistic vision, who are able to see trends and the links between situations. Such a body needs to be able to organize long-term cooperation drawing upon the knowledge and resources of universities, religious groups, NGOs and government services at all levels. There needs to be greater public awareness and the ability to organize to articulate values and the implementation of goals. Just as ecological concerns require actions by a multitude of actors who do not always see the relationship between their actions, so peacebuilding has material, intellectual and spiritual dimensions. Finding the way these fit together in a manner understandable to policy makers is not easy. However, this is the challenge before us. The process will take time and vision. Peacebuilding can be a major focus as we mark UN Day on October 24.